This is a fine example of how a film should be made! Beware that spoilers about the plot are in this review. Set in 1975, after serving 5 years of a 30-year prison sentence, Carlito Brigante is freed by appeal due to illegal audio tapes created by the police. His lawyer, Dave Kleinfeld, lead his appeal and has been friend for many years, takes him out on the town. While returning to his old neighborhood of Spanish Harlem, he reconnects with old associates. Carlito vows to be through with crime but is persuaded to accompany his cousin to a drug deal at a bar. Carlito’s cousin is betrayed and killed and Carlito is forced to shoot his way out. He takes the drug deal money and uses it to buy into a nightclub (partially owned by Kleinfield), with the intent of saving $75,000 to retire to the Caribbean. An up and coming young gangster named Benny Blanco, of which he wants nothing to do with, pesters Carlito into helping him with his business. Carlito also slowly tries to rekindle his romance with former girlfriend Gail, a ballet dancer who moonlights as a stripper. An old friend, Lalin, recently released from prison and now confined to a wheelchair, comes to see Carlito, but is caught wearing a wire. Carlito realises that District Attorney Norwalk is determined to put him back behind bars. Kleinfeld develops a love interest with Benny's girlfriend, Steffie, a waitress at the club. Benny's frustration with being rejected boils over, which leads to a confrontation with Carlito, Klienfield and Benny over Steffie. Kleinfield, showing that he has changed more from being a lawyer to being a gangster, pulls a gun on Benny. This surprises everyone, and Carlito takes charge. Carlito and his bodyguard Pachanga take Benny out back. But to Pachanga’s surprise and anger, Carlito lets him go. Kleinfeld, having stolen one million dollars from his Italian mob-boss client, "Tony T" Taglialucci, is coerced into providing his yacht to help Tony T break out of the Rikers Island prison barge. Kleinfeld begs for help and Carlito reluctantly agrees. At night, Carlito, Kleinfeld, and Tony T's son, Frankie, sail to a floating buoy outside of the prison barge where Tony T is waiting. As they pull Tony T aboard, Kleinfeld unexpectedly bludgeons him to death, then slits Frankie's throat and dumps both bodies in the East River. The next day, Kleinfeld barely survives a retaliatory assassination attempt. Carlito is apprehended by police and taken to Norwalk's office, where he is played a tape of Kleinfeld cutting a deal and offering to testify to false criminal allegations against Carlito. Norwalk is aware of Carlito being an accomplice to the Taglialucci murders and tries to leverage him into betraying Kleinfeld to save himself. Carlito refuses, but visits the hospital, where Kleinfeld confesses to selling him out. Having noticed a suspicious man dressed in a police uniform, Carlito deftly unloads Kleinfeld's revolver and leaves. The man is Tony T's other son, Vinnie, who sneaks into Kleinfeld's room and executes him. Carlito buys train tickets to Miami for himself and Gail, now pregnant. When he stops by his club to get the stashed money, Carlito is met by a group of mobsters led by Vinnie. 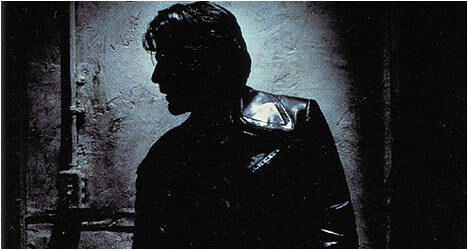 The Italians plan on killing Carlito, who slips out through a secret exit. The Italians pursue him throughout the city's subway system and into Grand Central Terminal, where they engage in a gunfight. Carlito kills all of his pursuers except Vinnie, who is shot by police attracted by the gunfire. As Carlito runs to catch the train where Gail and Pachanga are waiting for him, he is ambushed by Benny, who shoots Carlito several times. Pachanga admits to Carlito that he is now working for Benny, only to be shot as well. Carlito hands Gail the money and tells her to escape with their unborn child and start a new life. As he is wheeled away on a gurney, Carlito stares at a billboard of a woman on a Caribbean beach. The billboard comes to life as Carlito dies. I have to be honest I wasn’t expecting much when I first watched Carlito’s Way, as I hadn’t heard of the film. A Uni house mate had bought the film as a double pack with Scarface. I had vaguely heard of Carlito’s Way by watching a trailer when I was much younger. But I was more eager to watch Scarface. Little did I think that my opinions would flip so much. I actually hated Scarface on that viewing (more about that on my Scarface review but my opinion has gone 180 on that film), and absolutely loved Carlito’s Way. Maybe it was just something I wasn’t expecting. It was just so well executed. I could appreciate the film on just about every level. The acting, the cinematography, the music. All are absolutely gorgeous. The whole film is paced expertly. In fact I can’t find any flaws with the film. This is one of those criminally over looked films. Al Pacino plays Carlito Brigante with such class and joy, the character becomes so likeable with a strong sense of what’s right and wrong. The style of the character is great too, confident and has a goal that he wants to achieve. His own rules on how to live his own life, which will eventually be his downfall. Sean Penn is superb in his role of David Klienfield. He is pitch perfect as the guy you want to hate compared to Pacino’s Carilto, who is so likeable and lives by a certain code. The tone of the whole film, the way it has been directed and the music score all add together to make an excellent film. Modern day directors could learn a lot of how to tell a compelling story, which holds the audience without it feeling too long. In fact I felt gripped by the story all the way through. I just felt the whole thing looked fantastic. Even after first watching it in 2000, I still consider it one of my favourite films. Possibly the best example of how to make a film.